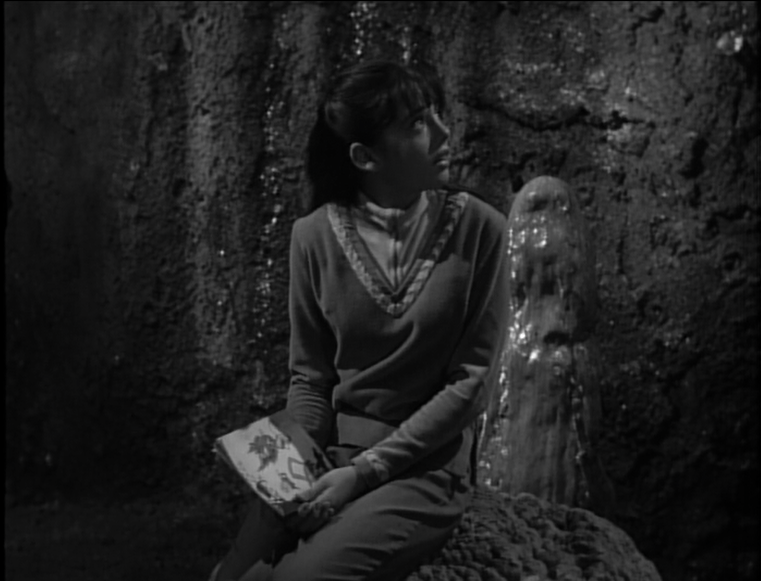 In “My Friend, Mr. Nobody,” Penny (Angela Cartwright) unexpectedly makes an alien friend in a cave. This cave manifests, at first, as just as a voice, but soon is able to demonstrate strange and fearsome powers. 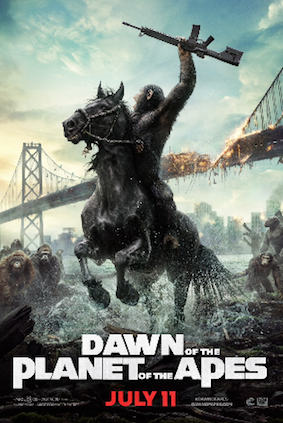 Penny attempts to convince her family that Mr. Nobody is real, and a million-year-old life-form, as he claims but she is ignored and disbelieved by the other Robinsons, who are busy improving their settlement. 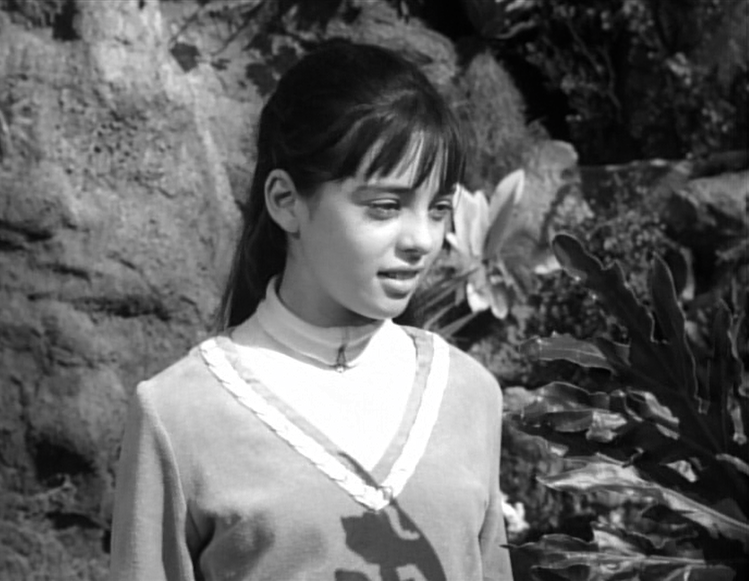 “My Friend, Mr. Nobody” is a magical episode of Lost in Space (1965 – 1968), a story of both great empathy (for Penny) and remarkable imagination. 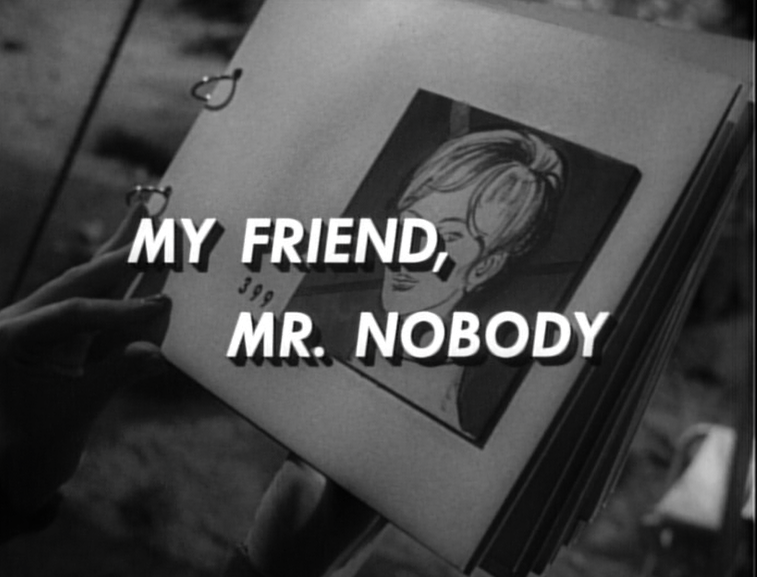 "My Friend, Mr. Nobody" takes the familiar “imaginary friend” trope (later featured, less imaginatively, on Star Trek: The Next Generation as “Imaginary Friend,”) and transforms it into a story about loneliness, friendship, and purpose. In particular, the story’s main character, Penny, is at loose ends. Her mother is busy working at the Jupiter 2. Her father and Don are busy with the laser drill. Even Will is too busy to play with her. So Penny must spend her days alone, without attention, feeling unloved and unimportant. But before long, she encounters this “friend” in the dark cave, a friend who values her, and talks to her about things that matter. They speak of “death” and what it means (‘when someone can’t speak anymore, or move anymore”) and become fast-friends, dedicated to each other’s well-being. Penny realizes, through her conversations with Mr. Nobody that her thoughts and words matter; that they make a difference. There are moments in “My Friend, Mr. Nobody” that ring very true in terms of earthbound childhood too. For example, Penny feels hurt when the person she trusts the most, her mother, fails to believe her story of Mr. Nobody. Of all the people who should believe her, it is Mom. When Penny catches her mother humoring her, treating her as just a "kid," the moment represents an unwelcome entrance into the grown up world of awareness. Dr. Smith -- who says “oh, the pain; the pain” for the first time in this episode -- is pretty despicable here too. He attempts to trick Penny by pretending to be the voice of Mr. Nobody. And then, later, his attempt to acquire diamonds means, essentially, the murder of this imaginary friend. Penny's lesson here is that many adults treat friendship as secondary, and wealth as primary. Penny's friendship means nothing to Dr. Smith if he has a chance to get rich. 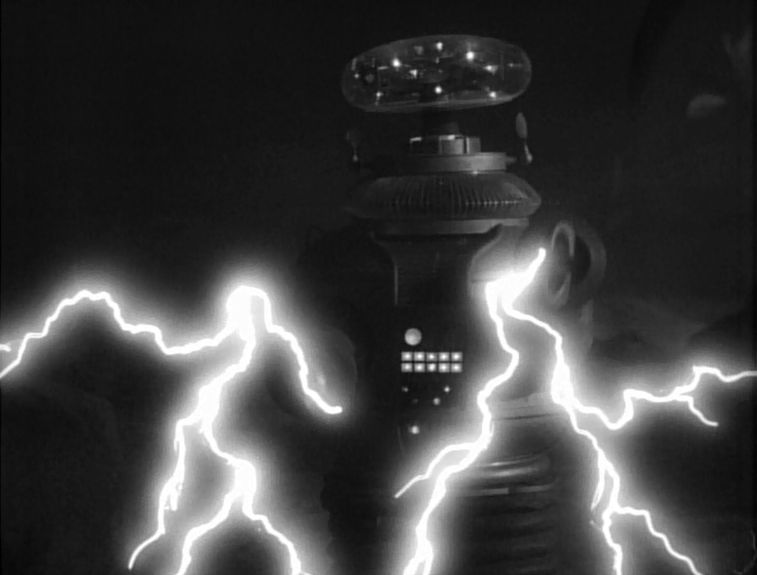 The episode ends, finally, with Mr. Nobody facing off against the robot, evolving, heading off to the stars to his next stage of existence, but no doubt carrying his friendship with Penny with him to that destination. It’s a nice note to go out on, and one that suggests that a child's friendship is not an unimportant, or insignificant thing. Everyone treats Penny like she is a dumb kid, but she proves a crucial part of Mr. Nobody’s maturation process. She alone helps him grow. She alone can understand that he is not a monster. 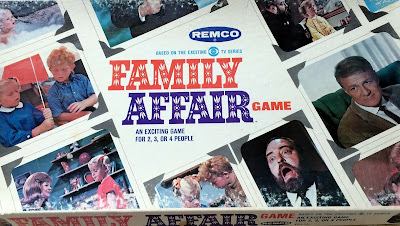 The adults, in this case, are dead wrong. 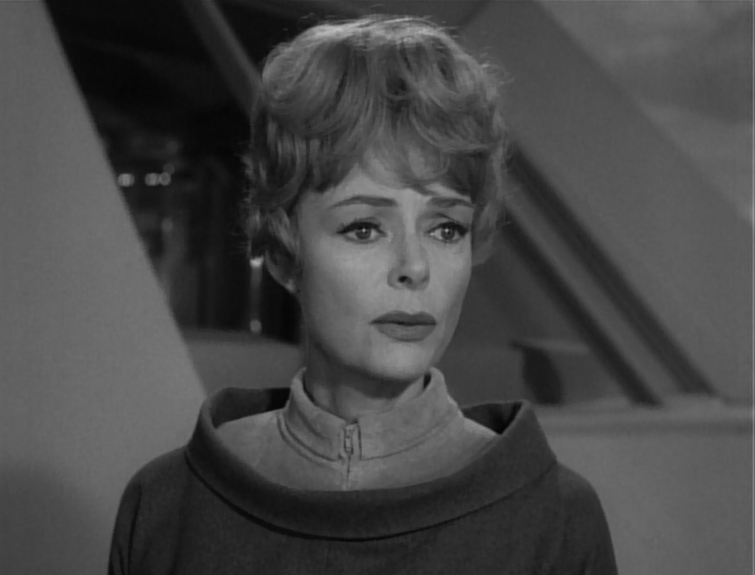 “My Friend, Mr. Nobody” is one of the very best episodes of Lost in Space episodes because it serves well an under-utilized character, Penny, and does a remarkably thoughtful job of imagining what her life must be like, always playing second fiddle to Will. 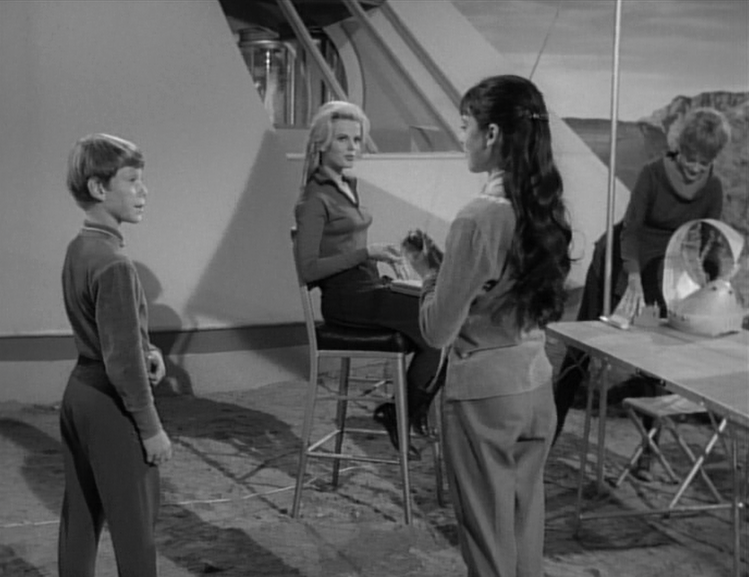 But more than that, the episode finds that there is inherent value in the friendship of a child. Spending time with your children is not a waste of time, not a lark. It is something, instead, that matters. 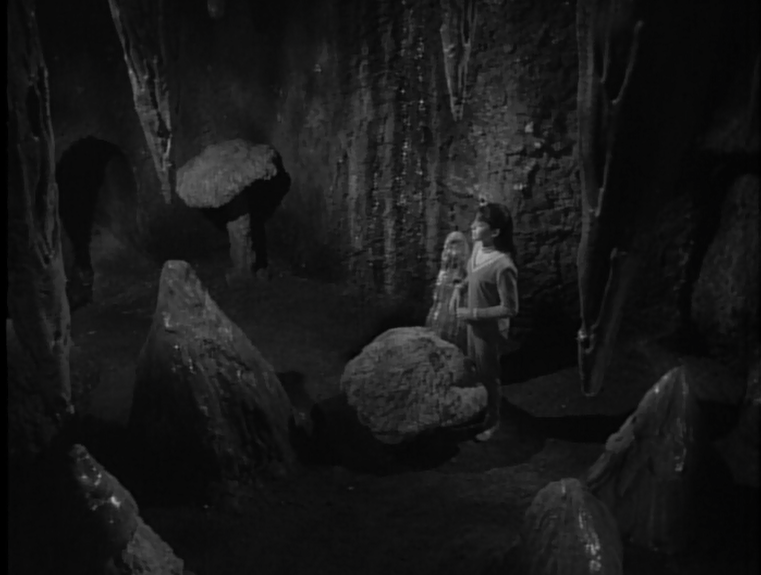 This episode plays like a space age fairy tale, replete with darkness and fear, but also with a happy ending that validates a child’s sense of wonder, and his or her sense of self, as well. Oh God did the show need more stories like this, and less of what it became. The best epiosde of the series, hell, one of the best single episodes of any science fiction series.